Sure, Nelson Figueroa may have completely screwed up the one and only thing he was asked to do tonight, but let’s not be too quick to brand his latest recall a complete failure. After all, this cry for help marked Figueroa’s fifth addition to the Mets’ 40-man roster, tying him for the all-time lead in this category with the illustrious Mike DiFelice, whose late career yo-yoing was so magnificent the Mets finally gave him a permanent job — in the minor leagues. He’s managing the Mets’ Appalacian League club in Kingsport, Tenn. Yes, it’s a special kind of ballplayer that can be cut loose four times and rehired five times, and Figueroa deserves extra credit for having done so in a single big-league uni number, 27 (DiFelice collected three unis over his five appearances). 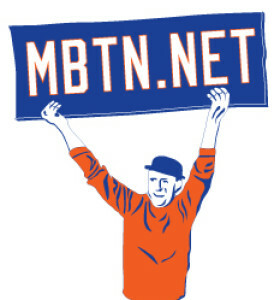 In fact, notes MBTN Roster Scientist Jason E., only nine men in Met history (including the aformentioned two) have been added to the 40-man roster as many as four times. Figueroa’s addition by the way resulted in Pat Misch being optioned to AAA Buffalo. On Sunday, Gary Sheffield returned and Robinson Cancel was returned to Buffalo. ubmitted by Ranjrz5 on Tue, 08/04/2009 – 1:21pm. Submitted by Gordon Handler (not verified) on Tue, 08/04/2009 – 1:55pm. Submitted by gored82 on Tue, 08/04/2009 – 2:54pm. Submitted by Jason (not verified) on Tue, 08/04/2009 – 5:02pm. Although he was recalled 7 times from the minor leagues, Jason Phillips spent just one uninterrupted term on the 40-man roster. Submitted by Gordon Handler (not verified) on Tue, 08/04/2009 – 7:16pm. My sources show that Stinnett was also signed at the end of March 2005 and released a few days later. I don’t know if he made the 40 day roster or not. Submitted by Jon Springer on Tue, 08/04/2009 – 7:48pm. He had a mustache — often. Submitted by Ranjrz5 on Tue, 08/04/2009 – 9:02pm. Submitted by Jon Springer on Tue, 08/04/2009 – 10:20pm. Submitted by Ranjrz5 on Tue, 08/04/2009 – 11:19pm. Submitted by ambiorix lockwood (not verified) on Wed, 08/05/2009 – 7:08am. it’s gotta be Matt Franco. No? Burnitz? Submitted by Gordon Handler (not verified) on Wed, 08/05/2009 – 9:25am. This guy was up and down to AAA like a yo-yo. Don’t know if he was on and off the 40 man or not. Submitted by Jon Springer on Wed, 08/05/2009 – 10:21am. It’s not Castillo, Matt Franco or Bell. Clue #1: He had a mustache — often. Submitted by gored82 on Wed, 08/05/2009 – 4:09pm. Submitted by Jon Springer on Wed, 08/05/2009 – 7:51pm. Submitted by Gordon Handler (not verified) on Wed, 08/05/2009 – 9:03pm. Once when he was traded for and 3 times as a free agent. Submitted by Jon Springer on Wed, 08/05/2009 – 10:01pm. Congrats. Big thanks to Jason who had to provide me with the trivia and the explanation — I would never have guessed myself. Submitted by Gordon Handler (not verified) on Thu, 08/06/2009 – 10:32am. We will see him in his 3rd uniform number since 1 and 4 are taken. I see him as a perfect 6. Submitted by gored82 on Thu, 08/06/2009 – 1:57pm. Submitted by Jon Springer on Thu, 08/06/2009 – 3:48pm. Guy was born to wear No. 6. Submitted by Gordon Handler (not verified) on Thu, 08/06/2009 – 4:03pm. Elmer Dessens is back in place of Niese. I guess Hernandez is here only if Castillo goes on the DL. He’s able to be DL’d now that he’s made the obligatory cross country trip. And what about Sheffield? If he gets DL’d, then Nick Evans would be back up and there goes number 6 again. How appropriate to have the whole team full of number 6’s. Submitted by Matt B (not verified) on Thu, 08/06/2009 – 5:49pm. My best guess is that Berroa gets released or sent down and Anderson reclaims #4 from Angel. I don’t think they will give him #6, because Evans will definitely be back by Sept 1 and will need a jersey. Submitted by Matt B (not verified) on Thu, 08/06/2009 – 5:52pm. Submitted by Gordon Handler (not verified) on Fri, 08/07/2009 – 10:03am. #4 is available again for Hernandez. I think that announcing that he’ll wear #11 was just to be nice to Berroa. It would have been cruel to announce that he would being wearing #4 while Berroa still had it. Also saw that Putz was moved to the 60 day DL. What’s up with that? Submitted by Matt B (not verified) on Fri, 08/07/2009 – 11:47am. Gordon—good point about Hernandez possibly still getting #4. The Putz move is probably retroactive to the last game he played, but when you put a guy on the 60 day DL, you can take him off your 40 man roster, basically letting the Mets not lose a player off their roster or exposing them to waivers. You know how the Mets had that game where everyone wore 42? Submitted by Anonymous (not verified) on Fri, 08/07/2009 – 2:53pm. Maybe they could do the same with everyone wearing 6. Like in late September when they’re playing out the string. Seems like they’re headed that way anyhow.